1) Vasavi Hospital Dharmavaram, Ananthapur (Dist.) Monthly Out Patient at an average 2,500 Patients being treated, Cardiac Surgeon & team visiting once a month. 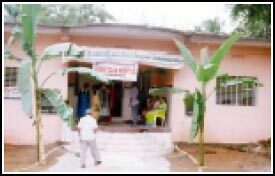 2) Vasavi Hospital Penugonda, West Godavari (Dist.) Monthly at an average 1,000 Patients being treated with one Speciality every week. 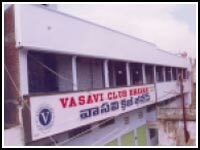 4) Public Health Centre, Siddipet Maintained by Vasavi Club Siddipet. 5) Palakol, West Godavari( Dist.) Construction of Kalyana Mandapam. 6) Tadepalligudem, West Godavari( Dist) Developed a Public Park. 7) Devaruppala, Warangal (Dist). Erection of Borewells for Providing Safe Drinking Water Facilities for Public Use. 10) Four Class Rooms Constructed at Government Girls High School Under Sarva Siksha Abhiyan Scheme at Akiveedu, West Godavari (Dist). Projects for Physically Challenged Under Taken.